The modern air conditioning system is a complex piece of refrigeration equipment. Actually, electromechanical air conditioning has always been complex: newer systems have added on more computerized parts and taken away refrigerants that are toxic or explosive, so although you aren’t likely to cause an explosion by tinkering with an air conditioner on your own, you’re likely to make whatever is wrong with it much worse. You want only licensed and trained HVAC professionals to handle any air conditioning repair in Newberry, FL. Posted in Air Conditioning | Comments Off on Can I Make Any AC Repairs on My Own? When you live in as hot a climate as Florida, your air conditioning system needs to be prepared to keep your home cool and comfortable throughout the hot summer months. If you notice any irregularities with the performance or operation of your AC, schedule repair immediately. Putting service off is never the right decision, as problems simply will not go away on their own. In fact, they will only get worse. This can have a seriously negative impact on your comfort, the condition of your system and your budget. To schedule any necessary air conditioning repairs in Gainesville, FL, contact Touchstone Heating & Air today. We have the training and experience necessary to get your AC back on track. 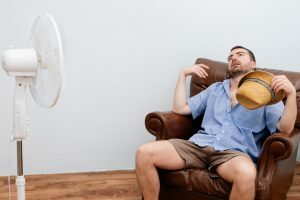 One of the most serious consequences that you risk by neglecting any necessary air conditioning repairs is further damage to your system that will wind up costing you more money, both in cooling costs and expensive repairs. When you contact an AC repair technician at the first sign of trouble, problems can be resolved before having a big impact on other components of the system. If you allow a problem to gestate while forcing the system to operate in a compromised condition, though, the other components of your AC may also be affected. The more components that are compromised, the more expensive any resulting repair needs are likely to be. Plus, a damaged AC will always cost more to operate than on that is in good working condition, no matter how “minor” the problem may be. The other big risk that you are taking is disruption to your service. Not only will a damaged air conditioning system fail to keep your home comfortable, but allowing your system to operate while neglecting repair needs means that when the time for repair does come it will likely be more complex and time consuming. This means that you risk longer disruption to your comfort and AC service during the hottest time of the year. To learn more about why you should never put off air conditioning repairs in Gainesville, FL, call Touchstone Heating & Air today. We have the information you need to keep your AC operating properly. Let us know what concerns you have about the performance of your AC. 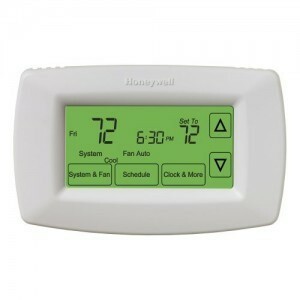 Thermostats are one of the most-overlooked and underestimated components of your home’s air conditioning system. While they are small and almost unnoticeable on your wall, they can have a huge impact on your AC. The Lake City, FL air conditioning professionals at Touchstone Heating & Air have years of experience working with all different kinds of thermostats. We wanted to shed some light on these important pieces of equipment that run your whole AC system. Thermostats detect the temperature of the air around them and then they activate your AC when that temperature increases to a certain point. They also shut-off your air conditioner once it has cooled your home enough. This is a huge responsibility for your thermostat which means that if they start to have any issues it can negatively impact your AC and your home’s comfort. Not enough cooling – If your home isn’t getting enough cooling it could be the fault of your thermostats. They might be detecting the wrong temperature in your home and directing your AC to provide insufficient cooling. AC not turning on – If your air conditioning system isn’t coming at all, it could be the fault of your thermostat. It could be that they are out of battery or it might mean that they need to be replaced. But there are also a few ways that thermostats can positively impact your home’s air conditioning system. More control – By upgrading your thermostats to programmable ones you could be able to more accurately control your home’s AC. If can set programmable thermostats to turn your AC off when you leave for work in the morning. You can also set them to come back on 30 minutes before you get home so that your house is always comfortable. 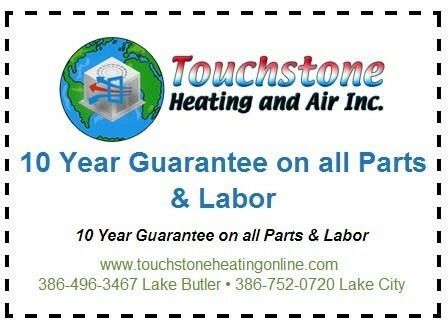 When you need Lake City, FL air conditioning services, just call Touchstone Heating & Air today. We can work with any type of thermostat that you have and we can also help you replace or upgrade your thermostats as well. Homeowners throughout the Gainesville, FL area are looking to improve their air conditioning systems now that June is here. If your AC was professionally installed, that’s a good first step. Unfortunately, some homeowners stop there. This type of neglect can lead to frequent repairs, energy inefficiency, and even premature replacement. While repairs are an inevitable factor in owning a home, there are some things you can do to avoid problems with your AC. In today’s post, we’ve given you several. If you have any questions, or would like to schedule a service, call Touchstone Heating & Air for all of your Gainesville, FL air conditioning needs. The best thing you can do for your AC is to enroll in a preventive maintenance program. The majority of maintenance duties must be carried out by a trained professional. During these routine visits, an AC tech will arrive during a scheduled time to inspect your system closely, noting any potential issues in the process, such as low voltage or refrigerant. This will be followed by a comprehensive cleaning of your coils and other parts of the system, so that your AC performs well and operates efficiently. Finally, a system adjustment is taken care of so that your AC runs optimally. Keep your air filter clean. During the cooling season, the air filter designed to protect your components from accumulating dust and debris can itself become a problem. When it becomes dirty and clogged with debris, it blocks the flow of cool air. This can lead to frozen coils when the cold air can’t escape the air handler. It can also disrupt performance across the entire system, and any imbalance typically causes problems elsewhere. You should also make sure to keep your outdoor unit free of any encroaching vegetation. The outdoor unit contains both the compressor and condenser coils. The purpose of their location is not only related to noise, but also because it needs to dissipate heat into the outside air. 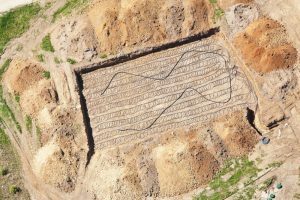 It won’t be able to do this if it is partially covered by shrubs, hedges, low branches, or tall grass. If your outdoor unit cannot perform its function, then it may result in warm air and high energy costs. If you’d like to schedule routine maintenance to avoid problems with your Gainesville, FL air conditioning system, call Touchstone Heating & Air today! Renovating your home is a great way to improve its value, to provide additional room for a new family member, or simply give you a little more space. Whatever your reason for putting an addition onto your Jacksonville, FL home, if it will be an occupied space, then it will need some type of heating and cooling solution. However, merely extending your existing system may not be cost-effective, nor even possible, considering the type of space you need for ductwork. If you need a new type of solution for your home addition, consider a ductless mini split air conditioning and heating system. In this post, we’d like to explain its advantage over a conventional system, especially for a home addition. For comprehensive air conditioning in Jacksonville, FL, call Touchstone Heating and Air today! No ducts: As you and your contractor go through the design of your new home addition, you may have already thought about where the ducts will go. Now, because this is likely not another full-sized home, the efficient use of space is critical to achieving a good balance of cost-effectiveness and home improvement. A ductless mini split system avoids the use of ducts and that can save you lots of space in your new home addition. Energy efficiency: You need your new addition to as energy efficient as possible. Perhaps you’re already thinking of ways in which the new section of your home can be more efficient than your existing home. Because of its lack of ducts and the compact design of its indoor air handlers, a ductless mini split system has energy efficiency ratings that far exceed those of conventional split systems. Flexible connections: A standard central air requires its outdoor unit to be just outside the house, typically within a few feet of its hard copper lineset connection to the indoor unit. Because it puts together the refrigerant, electrical and drainages lines into a compact bundle, the ductless mini split outdoor unit can be located some distance away from the addition where the indoor air handlers are installed, so long as there is a place for drainage. This versatility may help to give you options when it comes to thinking about your home addition. For more information about how a ductless mini split system might be the right type of system for your new home addition, call the Jacksonville, FL air conditioning pros at Touchstone Heating & Air today! With a professional installation and routine maintenance your air conditioner can work very reliably. No mechanical system can ever be completely problem free, though. When you do run into operational problems with your air conditioner, call the Lake City, FL air conditioning experts at Touchstone Heating & Air. Our air conditioning repair technicians have the training, skills and expertise to ensure that your comfort experiences as little disruption as possible. In order to get your AC repaired as quickly as possible, it is necessary that you understand some of the basic air conditioning warning signs. If you notice a sudden spike in the cost associated with operating your air conditioner you most likely have a problem requiring professional air conditioning repair. Unless your home cooling habits fluctuate a lot there is some issue leading to this decrease in efficiency. The air conditioning repair experts on our team can determine exactly what the problem is and will resolve the issue quickly and effectively. The less time your air conditioner is forced to operate in a compromised condition the less likely it is that any serious damage will be incurred. Also take not of any general decline in the performance of your air conditioner. Uneven cooling and the development of any warm spots throughout your home is a sure sign that something is amiss. As with any air conditioning problem, there are a number of possible causes for this problem. Your air ducts may be damaged or improperly installed, or there may be a problem with the fan in the unit. Whatever the issue is, only a qualified professional can repair it in order to provide you with the high quality air conditioning performance you deserve. It is also important that you do not mistake any warning signs as being too minor to contact a professional air conditioning repair technician about. Even strange sounds or smells coming from your air conditioner may indicate a more serious problem in development. Your air conditioning technician will discover the root of these seemingly minor issues. The important thing to remember is that the faster any air conditioning repair work is completed, the better off your system is likely to be. Call your Lake City, FL air conditioning repair company the moment you suspect a problem with your system. Call Touchstone Heating & Air. When you purchase a high-quality air conditioning system from a trusted manufacturer and have a professional handle your installation you should enjoy a great performance from that AC. Even the best air conditioners experience problems eventually, though. When you need to hire a Gainesville, FL air conditioning repair professional, call the experts at Touchstone Heating & Air. We’ll make sure that your air conditioner is fixed properly and that you can cool your home with confidence. It is necessary that a professional handles your AC repair needs, but you should know a bit about some common air conditioning problems. Pretty much all problems that you may experience with your air conditioner will have multiple possible causes. That is why it is so important that you contact a professional air conditioning repair technician immediately. Only a pro will be able to determine the exact cause of the problem. One common air conditioning issue we see a lot, for instance, is uneven cooling throughout your home. This may be due to the fact that your air conditioner is improperly sized. It may also be the result of damaged or poorly installed air ducts. We can inspect the system, pinpoint the source of the problem and make any necessary repairs. Many homeowners also have trouble maintaining temperatures in their home. Again, there are many different causes of this problem. You system may be too small, though if a good load calculation was performed prior to installation then this should not be a problem. Your air conditioner may be low on refrigerant, or it may even be the result of a faulty thermostat. Whatever the issue is, the Gainesville, FL air conditioning repair professionals at Touchstone Heating & Air can help. 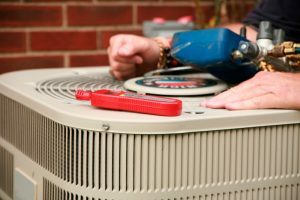 Even problems that seem minor or unimportant, such as strange sounds during the operation of your air conditioner, should be addressed by a professional. They are often early warning signs of a more serious problem. The sooner any issues with your air conditioner are resolved, the better. Forcing your AC to operate in compromised condition puts unnecessary stress on the system. This can lead to inefficient performance or damage to your air conditioner. Schedule air conditioning repair service in Gainesville, FL with Touchstone Heating & Air today.